In the Leopold Museum in the Museum Quarter of Vienna, I discovered a number of artists about whom I had not previously heard. 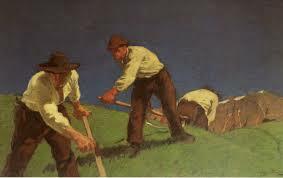 One of the most interesting was Egger-Lienz. 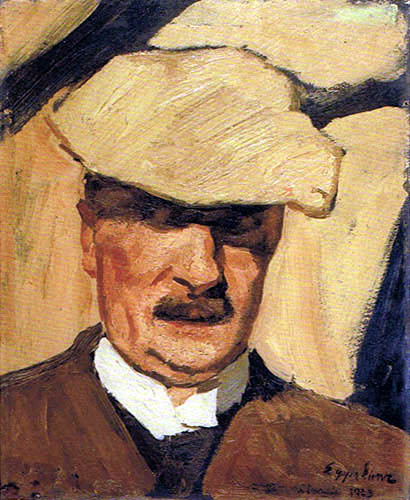 Albin Egger-Lienz (* 29 January 1868 in Stribach , community Doelsach in Lienz ( East Tyrol ); † November 4 1926 in St. Justina inBolzano ( South Tyrol )) was an Austrian painter . The oeuvre of Egger-Lienz includes many oil paintings. Several of his designs and drawings are available in various versions and images. Some subjects, such as the Mountain Mowers, are ​​lithographs. 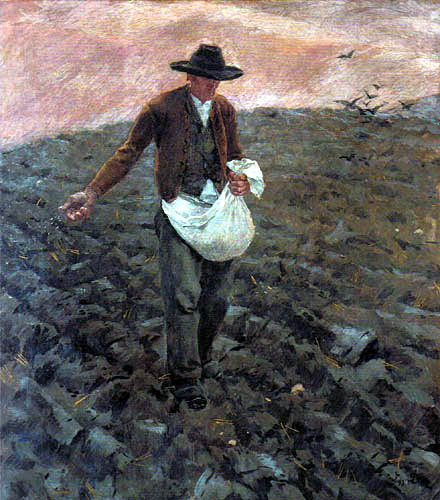 1904 Egger-Lienz turned to the theme of the sower, which kept him busy until the 1920s. The prototype for this was Jean-François Millet (The Sower , 1851), the other inspiration was actually a work of Giovanni Seganti. 36 major works were exhibited in 1901 at the Secession. 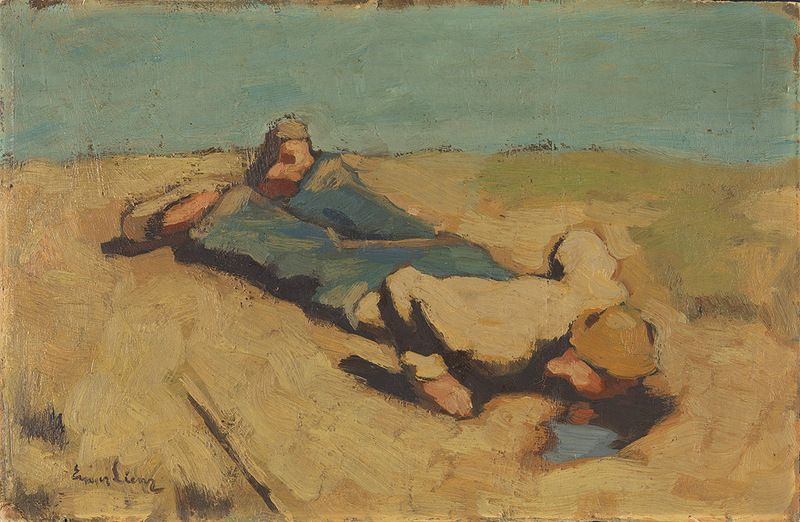 Characteristic of Egger-Lienz is also the long time between recognising a source to its development or use. Following in this bucolic vein here is a somewhat sad but evocative poem possibly inspired by Hesse’s Swabian countryside.